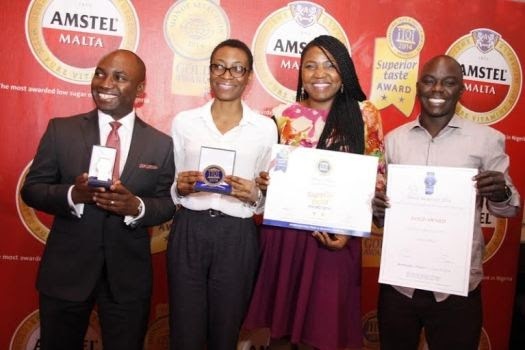 The premium malt brand received 2golden stars, out of 3 at the iTQi Superior Taste awards ceremony; making it the first ever African brand to receive such an award amongst other internationally recognized premium brands. 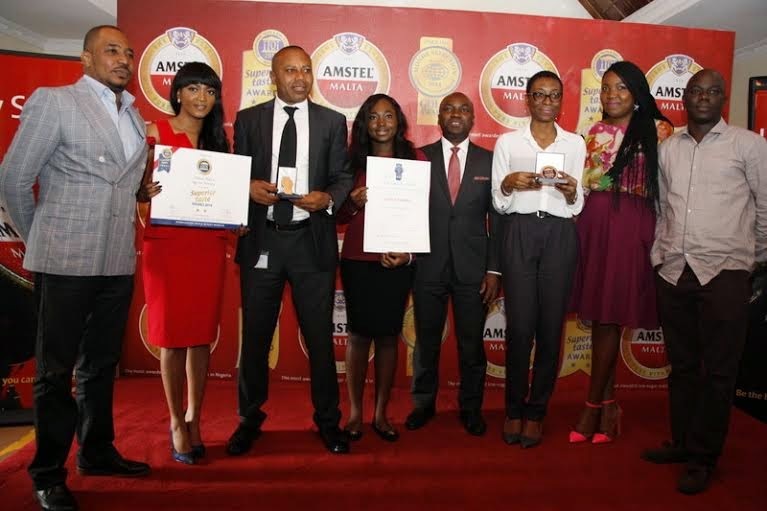 At a press conference earlier today at the Nigerian Breweries Headquarters in Iganmu Lagos, Amstel Malta Brand Manager, Hannatu Ageni-Yusuf described the achievement as extremely delightful. 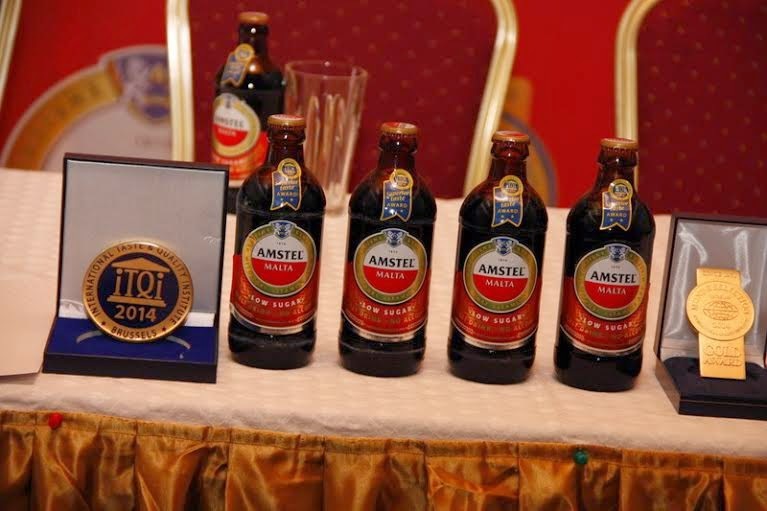 “Amstel Malta is very excited to be honoured with these prestigious awards. 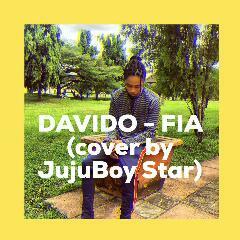 For us, quality is not an accident. It is a concerted effort of genuine effort, intelligent direction and skilful execution by dedicated people who have put in their very best to ensure premium quality at all times. So, these awards are no means by luck and will not be a reason to relax, as we will keep putting in more effort to beat our best. 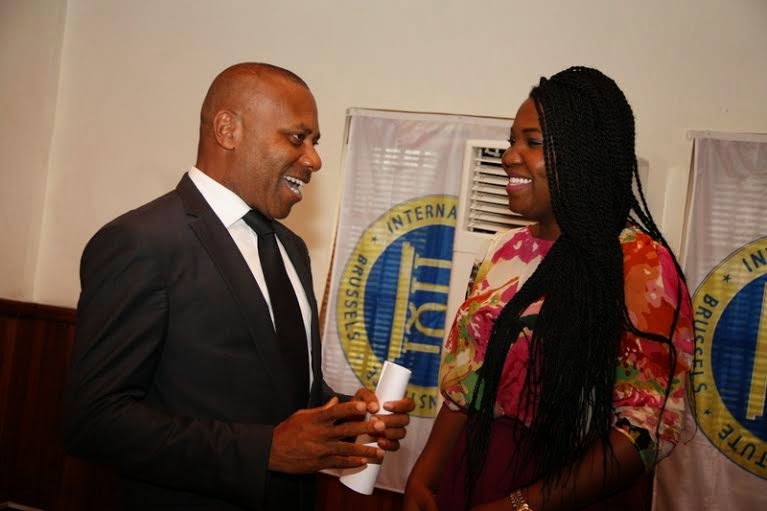 We are especially elated by the fact that Nigeria can boast of being the first and only African nation to receive the iTQi Superior Taste award” she said. 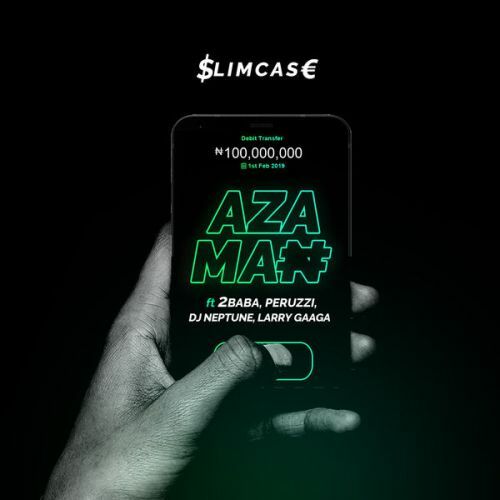 Also present at the event were Nigerian female rapper, Sasha P, popular comedian and compere, Tee A and CEO Hip TV, Ayo Animashaun. The iTQi Superior taste award, which is targeted at the international food industry to reward exceptional and remarkable taste and quality, is based on sensory analysis of taste, vision, smell, texture, flavour and mouth-feel. The 2014 edition received entries from over 130 countries and all products were tested by a panel of 120 judges made up of world renowned Chefs and Sommeliers from different nationalities on a strictly blind basis, without packaging or any kind of identification. 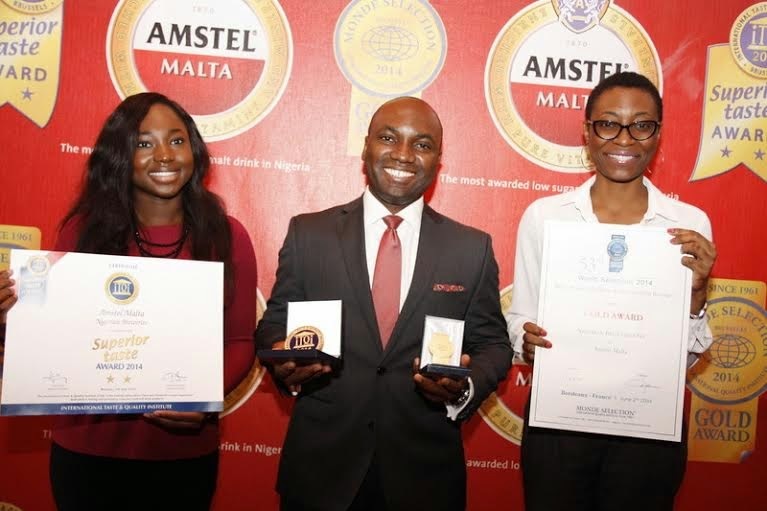 The Monde Selection quality award, which is targeted at rewarding excellence among a global variety of consumer products, awarded Amstel Malta the Gold Quality award in its Food and Beverage category based on the brand’s taste, health, convenience, labelling, packaging, environmental friendliness and innovation. 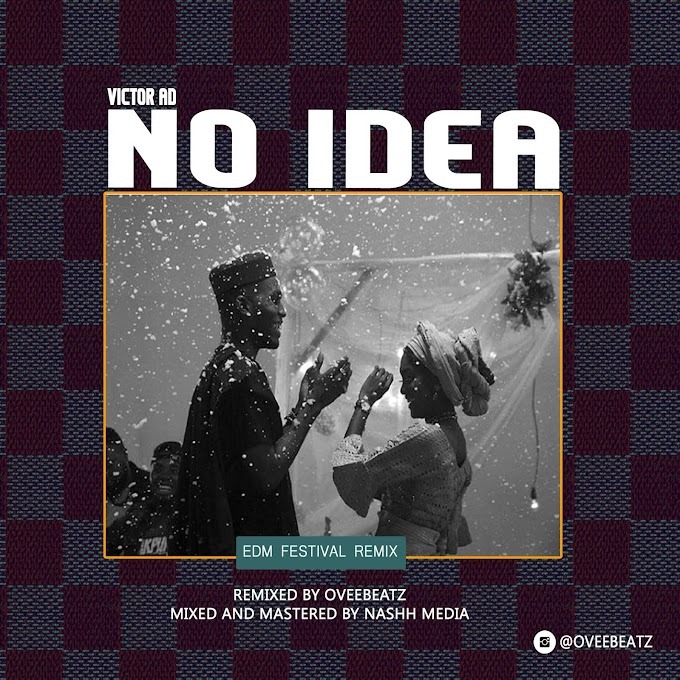 The Corporate Media and Brand PR Manager, Nigerian Breweries, Edem Vindah assured consumers of the brand’s commitment to constantly deliver quality. 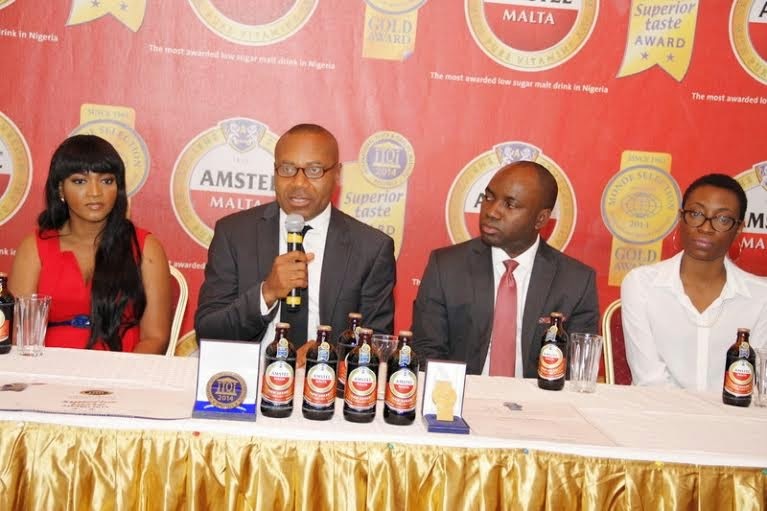 “Amstel Malta is set to do more to ensure greater quality and taste and will stop at nothing to keep our consumers happy and healthy because we are constantly geared towards being the best”, he said.